» Cycling vs Running | Which One You Should Pick For Your Fitness? ​Cycling or running? It’s an age-old debate among athletes, all of whom want to claim that their chosen sport is superior beyond question. ​And at the end of the day, it is nearly impossible to convince a runner to that cycling is the better choice or vice versa. But for new athletes looking to break into either cycling or running and who need to choose between the two, understanding the pros and cons of each sport can be extremely useful. Here, we’ll pit cycling against running to see how their physiological benefits and detractions – plus their “fun” factors – stack up. Exercise intensity - Which workout will drive you to the brink of exhaustion? ​It is difficult to directly compare the intensity of cycling and running since how hard you’re working at either sport depends directly on the speed at which you are moving relative to your maximum. ​However, running can be considered more intensive than cycling in that it burns more calories and lifts your heart rate higher with each per percent increase in speed towards your maximum. ​Muscle building – Which sport will help you build legs of steel? 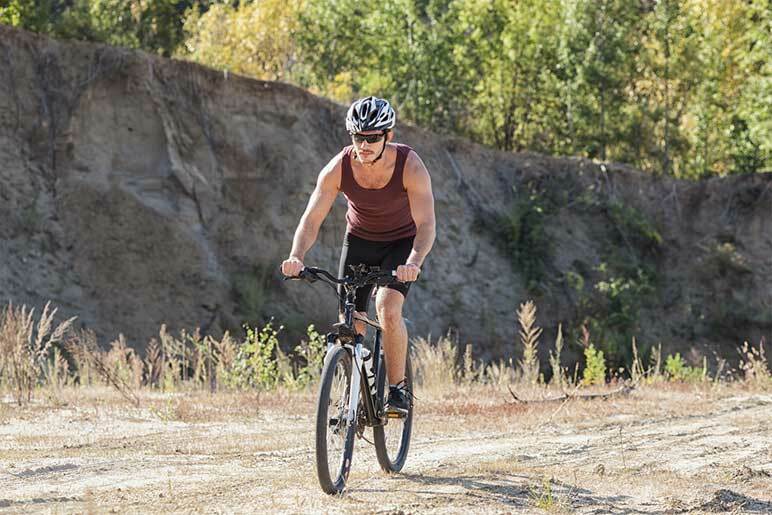 ​Biking and running both provide a full-body workout and especially a workout for your entire lower body. Cycling is great for building your quads and hamstrings, especially when powering uphill. Running also recruits these large muscle groups, but depends much more on deriving power from your glutes – especially when going uphill – inner thighs, and calves since running require greater leg balance and the motion of pushing off the ground rather than pushing down on the pedal. ​Both running and cycling also work your core, including your abdominals and shoulder muscles, since cycling requires you to balance your upper body on the handlebars and running requires you to keep your torso upright. ​Endurance building - How long can you last? ​If you’re looking to build overall endurance, it’s something of a toss-up as to whether cycling or running is the way to go. This is because the two sports recruit similar, but different muscle groups and it is difficult to compare athletic endurance – as a function of time spent at a specific heart rate target – across activities. However, if you’re looking simply to spend the most time at a stretch exercising, opt for cycling. Most people can cycle for far longer than they can run, in part thanks to the ability to coast on the bike. For truly building endurance, try switching off biking and running – the two sports are complimentary, and each can help you build endurance in the other. ​For better or worse, both cycling and running are outdoor sports. ​That means when the weather gets bad, you’re either going to need to suffer or take your workout inside. Both cycling and running offer solid indoor options, thanks to spin bikes and trainers for cyclists and treadmills and indoor tracks for runners. However, hardy runners are somewhat more immune to the weather than hardy cyclists – after all, while you can run through the snow, you can’t (or at least, shouldn’t) take a road bike out when there is snow on the roads. 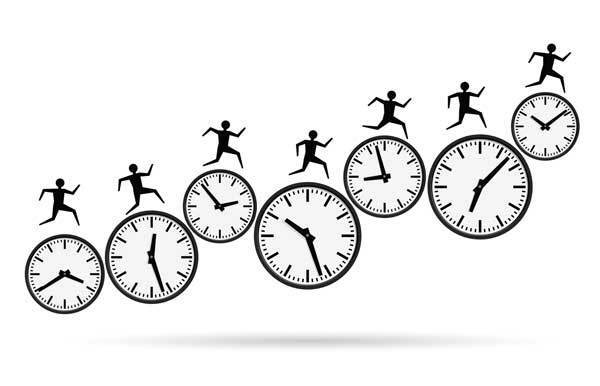 ​If you’re short on time, all other things being equal you may prefer to opt for running over cycling. As discussed above, burning the same number of calories takes longer when biking slowly than running slowly because of coasting on the bike. Plus, it typically takes less time to head out your front door for a run than for a bike ride because of the additional gear and pre-ride bike maintenance that cycling requires. Running can also be a faster way to get in an intense workout since elevating your heart rate towards maximum takes a longer effort on the bike than on foot. 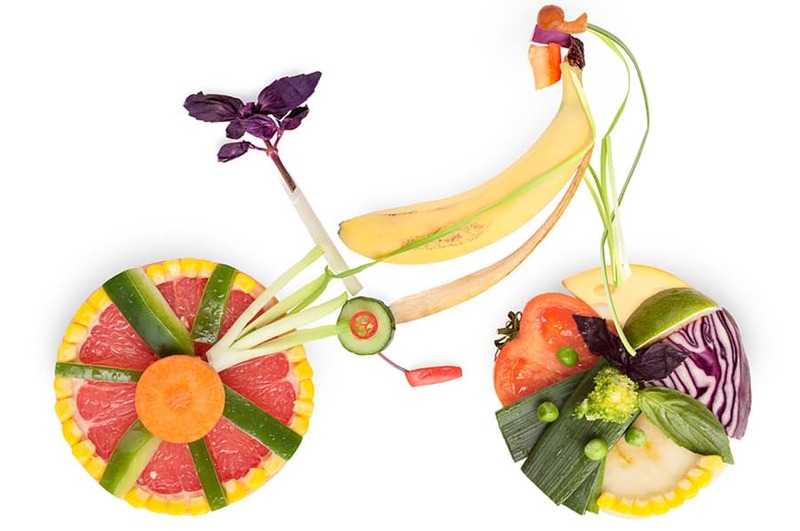 ​Both cycling and running are excellent ways to burn calories. In fact, if you’re looking to burn the most calories in the shortest possible amount of time, running and cycling are about equal – as long as you’re going fast. A 130-pound person will burn 944 calories per hour for a 6-minute mile when running, or the same number of calories per hour when cycling on a flat road at over 20 miles per hour. ​However, the burn shifts in favor of running in large part due to the ability to coast on a bike. At a 12-minute mile, running will burn 472 calories per hour, while cycling less than 10 miles per hour will burn only 236 calories per hour. ​At the end of the day, weight loss is all about your calorie balance. ​So in the absence of changes to your diet, burning off one pound of fat requires burning about 3,500 calories. 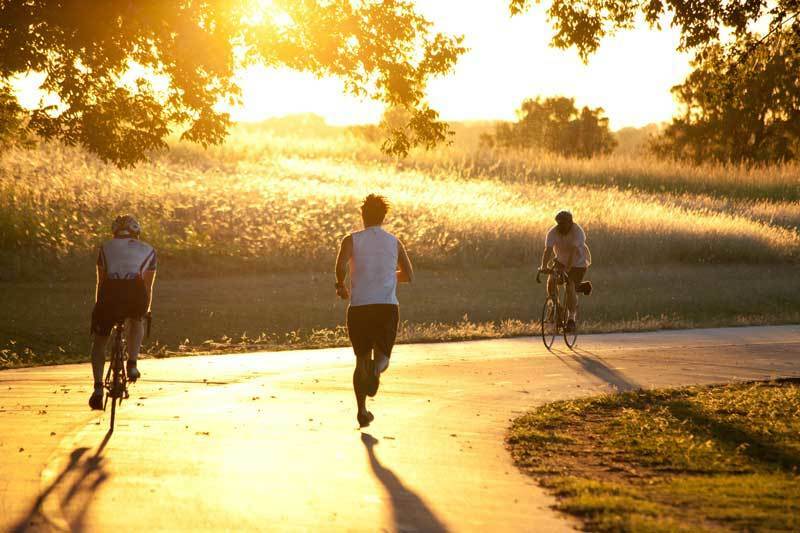 Running and cycling are similar in the number of calories they burn, depending on speed, yet cycling may still be the preferred sport for losing weight. This is because cycling puts less overall stress on the body and leaves athletes feeling less sore than after running, so it is easier to keep up a daily cycling routine than it is a daily running routine. ​The net result is that, over a period of several weeks, cycling can help you burn more calories and lose weight faster than running. ​Common knowledge among athletes used to be that running was a better way to suppress hunger throughout the day than cycling. ​However, that perception has changed thanks to a pair of studies that showed that an hour of cycling and an hour of running are equally effective at suppressing one of the hormones that induce hunger. And while that hour of exercise to achieve hunger suppression may be constant across the two sports, it’s much easier to crank out an hour on the bike than it is to run for an hour. ​Running is an extremely high-impact activity compared to cycling. ​This is because of the shock force of your foot repeatedly hitting the ground while bearing the full weight of your body. Cycling, on the other hand, leaves your leg bearing little weight and reduces impact by having your foot move in a circle. As a result, cyclists are far less prone to overuse injury than runners, although both athletes are susceptible. 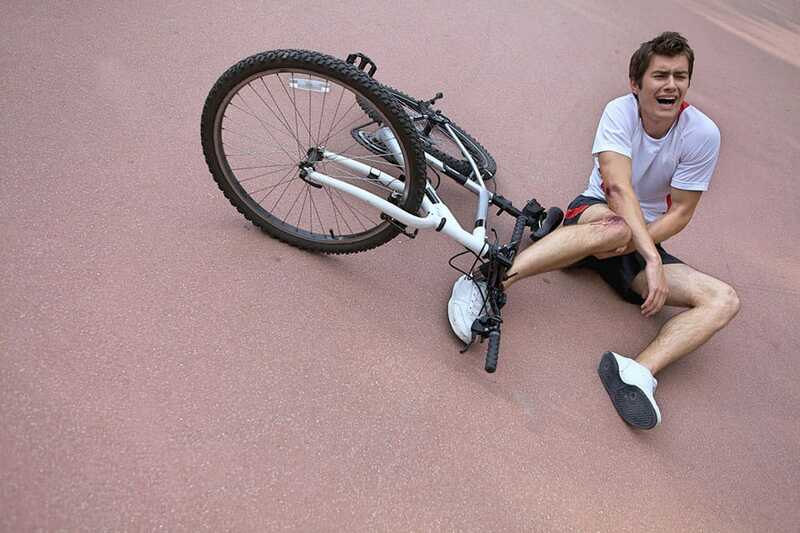 However, a significant injury risk for cyclists that is minimal for runners is the risk of a crash or car collision. More than half of all cyclists have reported that they have had an injury resulting from a crash at some point during their riding. ​The commonly held belief that running beats you up more than cycling was recently confirmed by a scientific study that compared similar exercise intensities across groups of cyclists and runners. ​The study looked at cyclists and runners who worked out at high intensity for 2.5 hours a day for three days and found that markers of muscle damage were 133-404% higher in runners than in cyclists. ​Also, runners experienced delayed onset muscle soreness 87% more than their cycling counterparts and had inflammation levels up to 256% higher. ​The takeaway – running causes much more trauma on your body than cycling. ​Ability to continue with age – Can you still run or bike when you hit 100? 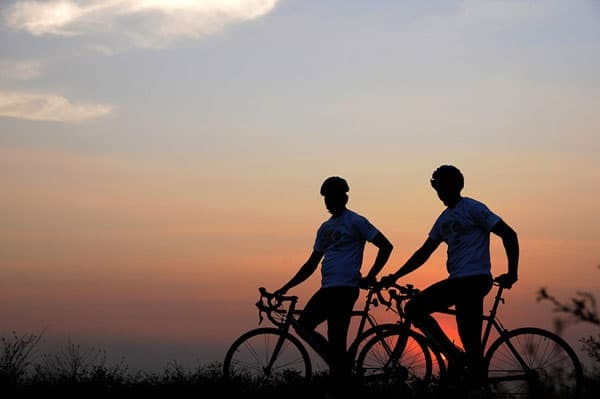 ​One of the major advantages that cycling has overrun is that it puts much less wear and tear on your joints. 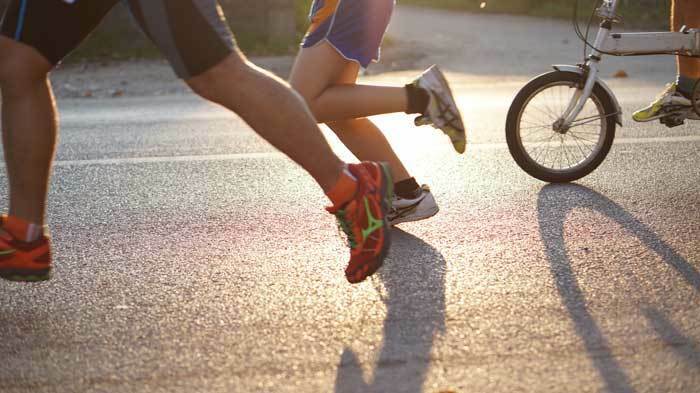 Over years of exercising, that can mean the difference between ending up getting knee surgery as you age, in the case of runners, or not, in the case of cyclists. 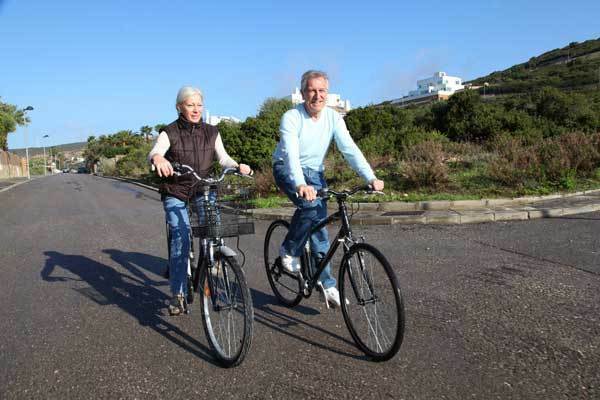 Plus, this means that cycling is typically a more favorable sport than running for older athletes to get into or to use to stay in good physical shape since it won’t cause an additional impact on old or arthritic joints. ​Equipment required – Do you want a garage full of gear? ​Let’s face it – cycling requires a lot of gear. In addition to the bike itself, which can be further broken down into a seemingly endless number of upgradeable components and style choices, cycling requires a whole wardrobe and a number of accessories that are specific to cycling. For example, it’s not safe to use your bike helmet for other impact sports like climbing or skiing, and there aren’t a lot of times off the bike when you need shorts with a thick chamois. Running, on the other hand, only takes a pair of shoes to get started – and while runners tend to accumulate clothing for all weather conditions, at least much of that clothing can be repurposed to wear when playing other sports as well. ​Ask a cyclist how much their bike cost, and there’s a chance they may break down crying about how much money they spent. The primary cost for running is one to two pairs of shoes per year, which typically cost around $100-$150 per pair, plus a few clothing items to help you run through the rain and winter months. Cycling, on the other hand, has no end to costs. Even a cheap used bike will typically cost as much as a year’s worth of running shoes, and a well-outfitted road bike can easily run into the thousands of dollars. ​And that’s before essential accessories – plan to spend another thousand dollars or more between clipless shoes, a helmet, clothing, and cycling gadgets. ​If you get tired of seeing the same old places during your workout, cycling is the way to go. Most runners will cover only a few miles during their daily workout, limiting the number of possible route variations away from your home. Even during a marathon, a 26-mile course allows for only a limited radius of sightseeing. Cycling, on the other hand, offers the possibility of a huge area to roam. A 50 mile or more ride on the weekends is common among cyclists, and that already provides a greater range of possible places to see than the rare marathon – and you’ll cover that distance in less time. ​That same plethora of things that need to be purchased for cycling leaves a ton of room for adding to your style. ​As a runner, the most custom style you can build into your outfit is a hat, shirt, and shoes. As a cyclist, on the other hand, your clothes are just the beginning. Paint your bike, get a crazy helmet, and add some colorful components – the combinations of personal style touches on a bike are nearly endless. ​Cycling and running are both exciting sports that with a huge number of benefits for your body’s physical abilities, and it is hard to go wrong when choosing between the two for a new exercise regime. If you can take up both, the two sports work complementary to each other because they work for related but distinct muscle groups and both serve to build endurance and cut weight. ​However, if you’ve got time and money to spend and are looking to have the most fun possible out on the roads, cycling may be the ultimate choice because of the extra ground you can cover and the endless options to stand out from the crowd.